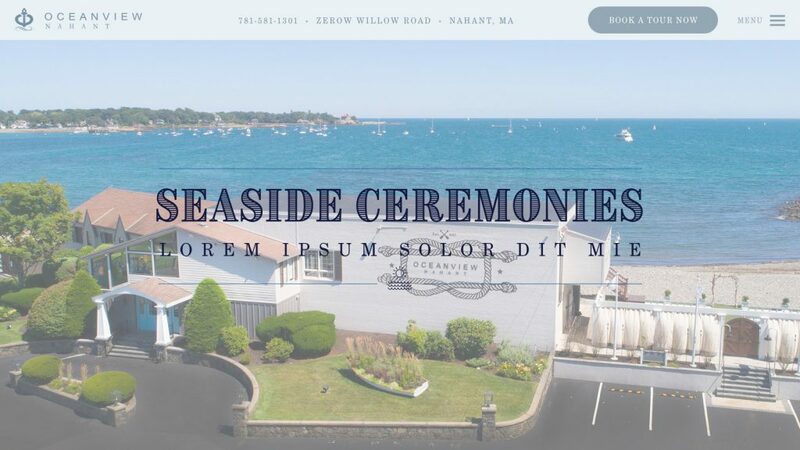 Nestled on one of the most breathtaking, picturesque points of the Atlantic Ocean, The Oceanview of Nahant, Massachusetts offers two spectacular options for brides. Featuring the beautiful Beach Stone Terrace; outside overlooking the sparkling waters of the great sea or the majestic grand Ballroom; intimately inside where picture windows frame your ceremony while waves gently crash in the background... both choices are stunning and the location is truly magnificent. 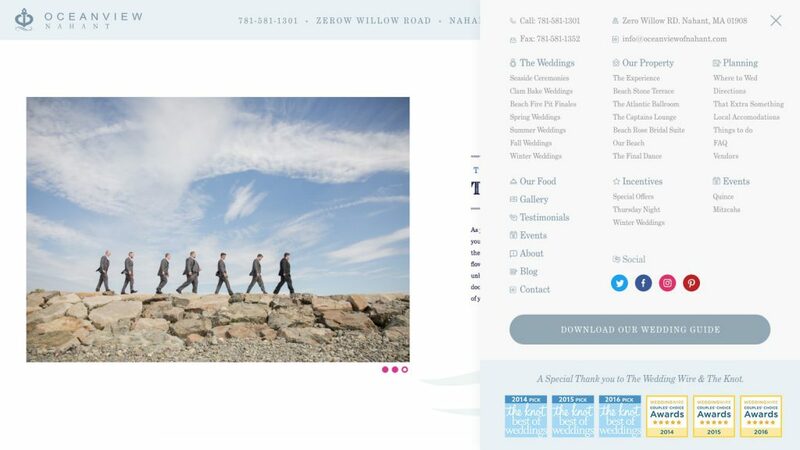 With one of the best views in Massachusetts when it comes to wedding venues, the presentation of this website was beyond important. That entrance and essence that we had to communicate through visual design and interactivity with media was key to welcoming the target personas & audience to the Oceanview. 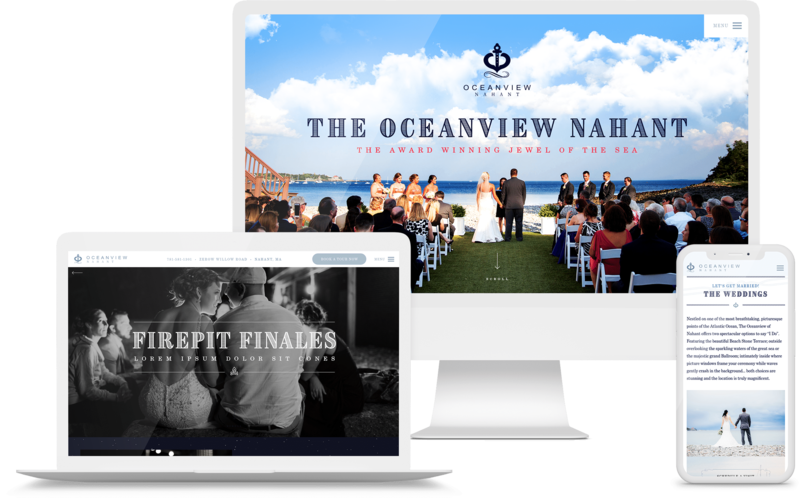 With integrated video, a mobile-first and friendly bootstrap grid approach, we were able to work through the new Oceanview website design and development project through our structured approach stage by stage with flexibility for modifications along the way too. The result is a finely tuned and optimized web presence that takes users through a breathtaking web journey as they digest chunks of content leading up to the beginning of a lead nurture campaign then following them down the digital funnel to a delightful close.